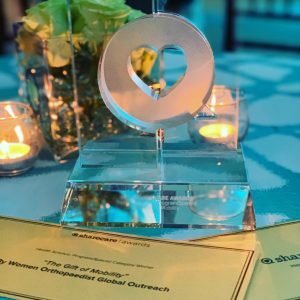 Please join us in celebrating WOGO’s Congo Medical Mission video, winner of the Health/Science: Program/Special ShareCare award! 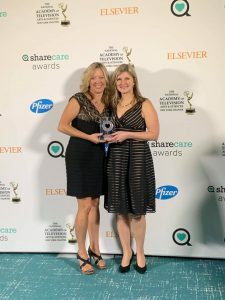 This Thursday, WOGO Surgeons, Dr. Robyn Hakanson and Dr. Kathleen Hogan were on hand in Atlanta, Georgia at the Sharecare Awards Ceremony. They were thrilled to receive the award on behalf of WOGO and EBU Productions, the company who created the video. Special thanks to EBU Productions, Steve Sepulveda, Alex Villasenor, Zimmer Biomet and Verona Brewton for all of your support.